So just to get this out of the way before you start reading this article, there's no way in hell I'm going to be able to list every single Easter egg shown in this trailer. I'll leave that to the guys on YouTube who dedicate hours of their day pausing and studying these two minutes of footage. Now what am I going to write about, is just how awesome it is to see Steven Spielberg return to the sci-fi genre. While the director has had a lot of success with recent serious drama such as Bridge of Spies and The Post, we can't forget the ambitious other-worldly films that put him on the map in the first place. 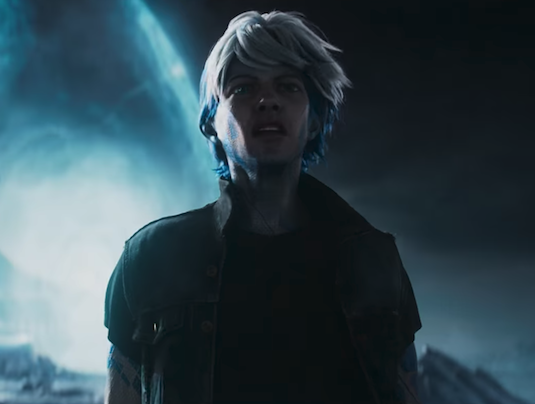 The latest trailer for his upcoming film Ready Player One certainly fits the ambitious other worldly criteria, as it gives us a much better idea of what the movie is actually about. Like I stated above, the trailer does in fact give us a lot more about the movie's plot than the original Comic-Con teaser did. We learn more about our main character Wade Watts who is apparently an orphan that uses the OASIS as an escape from his struggling actual life. We also see that although a lot of the movie will show his avatar Parzival as the main character, Wade still has a lot to do in this movie himself. We see him interacting with Olivia Cooke's character Samantha Cook whose avatar Art3mis is also a key character in the game. We now know what most reader's of the book already knew, and that is that the main objective of the movie is to complete an Easter egg hunt set up by OASIS founder James Halliday. We got footage of the late Halliday played by Spielberg favorite Mark Rylance in the trailer, explaining that whoever wins gets control over the OASIS and his fortune. 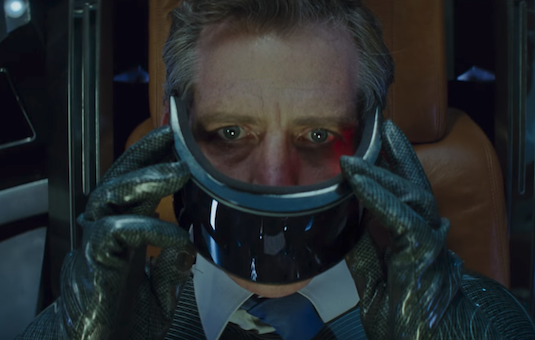 Ben Mendelsohn's Nolan Sorrento seems to be a corporate type his also has an interest in going after this fortune, and wants to stop Watt's Parzival from winning the game. As for the references, like I said I'm not exactly the right guy to be picking a part every single thing I saw, but thats not going to stop me from mentioning a few. We see the surprising inclusion of Overwatch character Tracer in the trailer, as well as the return of Parzival's car the DeLoreon from Back to the Future (And even a cue from the film's score at the end of the trailer), and also the Iron Giant makes his return. We get brief glimpses of Chucky, Deathstroke and Harley Quinn, RX-78 Gundam, King Kong, Ryu, Chun-Li, and Deadshot to name a few. The overly CGI world and characters may be of concern to some viewers, but it seems Spielberg is going to provide a good balance of the two in the film. 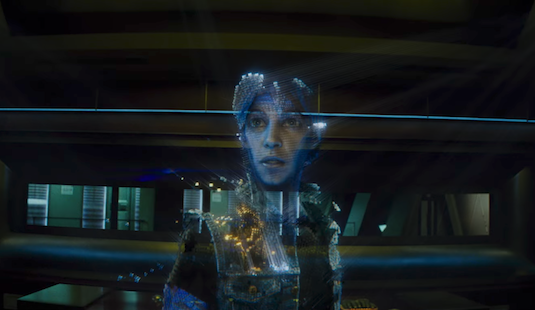 So what did you think of the latest trailer for Ready Player One? Are you excited to see Spielberg's return to the blockbuster sci-fi genre? Did you catch any other references in the trailer? Let us know below!